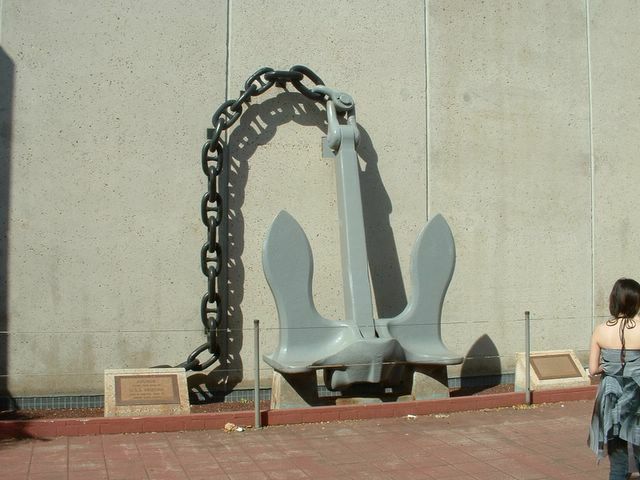 Hawaii4 -- Anchor of USS Arizona at Pearl Harbor, USS Arizona Memorial Museum area. 1177 Sailors perished when the Japanese bombed the Arizona as it sat at anchor in Pearl Harbor. The USA declared war on Japan following the bombing.